The Joys of Toddler Eating. Yesterday I was sat having lunch with my toddler, Kezia – hummous and rice cakes with avocado and tomato. All foods that I know she likes but avocado is one that we haven’t eaten in a while. She tasted a slice of it, pulled a hilarious face, removed it from her mouth, and in true toddler love then handed it to me. You’ve got to love the sharing of sucked on, dribbled on, slightly chewed food. The next slice met with a similar facial expression and quickly ended up on the floor. Humph, cue not impressed mummy face. So I mushed the avocado a little and spread it onto the rice cake, suddenly it was out of my hand and into small girls mouth, being eaten and enjoyed. 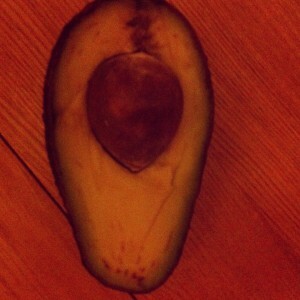 No more avocado on the floor and no more sharing with mummy. 1. Don’t fancy it at that particular moment. 2. Aren’t keen on it in that form but may like it if it is given to them differently. 3. Teething or out of sorts. Remember it takes about 10 attempts of a food for a toddler to know if they like it or not, so keep trying, keep being creative and keep smiling when that food ends up on the floor or spat out.